Save The Waves recently completed a study looking at the non-market value of the Mavericks area (wave and adjacent park). The study was conducted by Dr. Makena Coffman and Dr. Kimberly Burnett from the University of Hawaii. They based their findings on an on-site survey of visitors over a 6 month period in 2009. They used the Travel Cost Method to determine the non-market value (consumer surplus) of those visitors and their estimated an annual value ($24 million/year) using their best guess on annual attendance to the area. It is important to note that the study included all visitors to the Mavericks areas, not only surfers or those watching surfers, so this value includes the value of the whole Mavericks area. The final study has not been published yet. Once it does, I'll post it. You can read a Half Moon Bay Review article about the study here. 1) While the study was designed to measure the economic value of the surf break and surrounding area, it also attempts to measure non-economic valuation factors such as the cultural, social and environmental value of the wave. The study is not all about dollars and cents, and a key finding was completely omitted from Thomas’ article: "Almost 90% of the respondents labeled surfing an ecotourism activity, and thus important to the cultural and environmental health of the community. 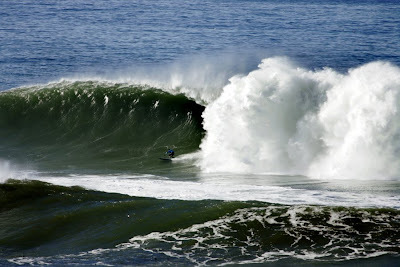 Respondents believed that Mavericks helped to positively define the Half Moon Bay area." This underscores the importance of these studies to be used as a tool to help policy-makers make conservation decisions that allow ecotourism to thrive, while at the same time preserving unique environmental, social, and cultural phenomena. 2) This research project was funded by a grant from the Morgan Family Foundation. 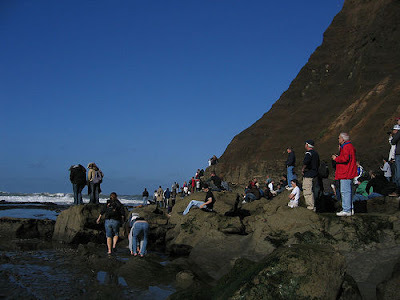 Mavericks Surf Ventures helped by supplying information on the area and connecting researchers with key local organizations, such as the Half Moon Bay Chamber of Commerce. MSV and Jim Beam DID NOT fund or financially support the study. 3) The Center for Responsible Travel at Stanford University and the University of Hawaii Economic Research Organization, co-authors of the study, are independent researchers who were commissioned by Save The Waves to execute an academic study. They have no affiliation with Save The Waves, nor did commercial interests influence the study in any way. Thanks for helping us clear up these important points.